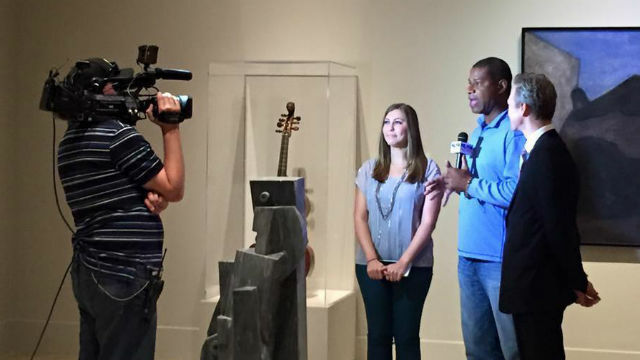 KUSI-TV interviews Hilary Srole, Guru’s project manager for the San Diego Museum of Art app. Why did you start Guru? My partners and I started Guru for two reasons: to assist in bringing museums and other cultural institutions into the 21st century and to bridge the gap between these places and younger generations. We felt that standing and huddling around a wall label was a bit of an archaic experience and we also wanted access to more information and stories about the items held in museums. One of the original inspirations for the company was when I took my niece and nephew (20 and 18) on a trip to Rome for their spring break. We spent 7 to 8 hours every day seeing the sites and experiencing the museums. I was shocked at how little they would interact with the information provided by the museum. They refused to take the audio tours because they thought using devices that millions of other people had touched was disgusting. At one point I got mad at them for being on their phones while going through the Coliseum, and when they turned to show me that they were actually using the internet to find more relevant information about their surroundings and the stories and the history of the Coliseum, I was pretty inspired. At the end of the day, we want to create those light bulb moments for children and adults where they realize they love art or that science and history can be really cool and exciting. Your app uses wayfinding technology. How do you employ that to improve the experience of visiting a cultural institution? One of your concepts is the “gamification of education.” How does that work? We have created trivia games and scavenger hunts for both adults and children. The children’s games and scavenger and treasure hunts are usually guided by an animated mascot. The goal is to get people moving around the museum focused on winning a game, while educating them simultaneously. It is no secret that engaging people with games is a much more effective way to teach people than lecturing them. We leverage the amazing technology in everyone’s pockets to make that possible. Guru is already working with the San Diego Museum of Art. Who are some of your other clients? 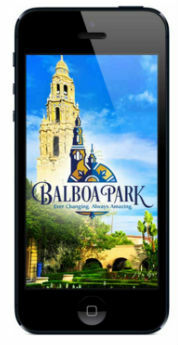 Guru partnered with the Balboa Park Online Collaborative to create the Balboa Park App. The Balboa Park App has received rave reviews so far and has had a lot of success but we aren’t just leaving it stagnant. In early 2016 it will get a major revamp and we will be adding some really amazing features. Guru also partnered with the Battleship Iowa in Los Angeles. We created an amazing experience that captures the history and the incredible personal stories of the people that served on the Iowa. The app also really brings the ship to life; you can stand in front of the weapons and watch short videos of them actually firing through the app. Guru is thrilled about our brand new partnership with the Little Italy San Diego. Little Italy is not only full of amazing restaurants and businesses but compelling stories and history. Their new app (launching January 2016) will have several guided walking tours as well as exclusive deals and discounts you won’t be able to receive anywhere else. Be sure to look out for more info on that app once it’s live. Cultural institutions are often financially challenged. How does the business model work? 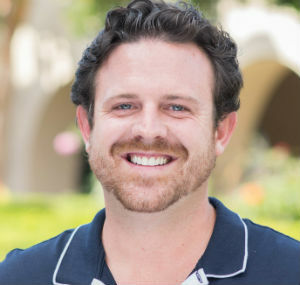 Times of San Diego, a startup itself, regularly writes about startups in technology, biotech and other sectors of local business. If you are a startup in the San Diego area and want to tell your story, please contact news@timesofsandiego.com.